Lyft brands itself as your friendly neighborhood ride-sharing service and it’s grown significantly in Detroit. Launched as a mobile app in the summer of 2012 as a service of Zimride, it has grown exponentially ever since. It currently operates in almost 195 cities across the States including San Francisco, Los Angeles and New York. 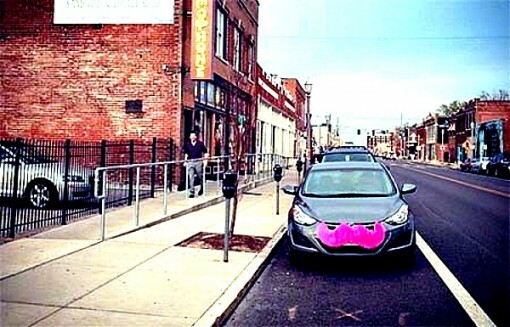 Lyft continued to grow, and it eventually made its way to Detroit in March 2014. Unlike some other cities, Detroit welcomed Lyft and even made a deal with them. Lyft is popular because of its “friend with a car” image. And Detroit knows it! Lyft started by offering its services through the Metro Detroit area. It includes all of Detroit, extends west to Novi and Canton Township, north to Troy and south to Riverview. Their prices are typically 20% – 30% lower than a traditional taxi. Using the Lyft app is as simple as a child’s play. You simply request a ride through the app and it matches you with the nearby driver in your area. They provide two types of services in Detroit: Lyft and Lyft Plus. While Lyft is for a more personal experience, accommodating one to three travelers, Lyft Plus provides you with a six-seater for accommodating more passengers. But Lyft is far more than this. The riders can sit with the drivers on the front seat, get to choose their music and may even be offered water or candy by their driver. And this is not where it ends. It’s a great opportunity for the drivers as well. These drivers come from all walks of life and add to the overall appeal of Lyft as your neighborhood friend. Not only this, Lyft’s rates are very reasonable. For instance, a Lyft ride from Sterling Heights to DTW (Detroit Metropolitan Wayne County Airport) would be approximately $38 ($67 if you take Lyft Plus). With $0.50 being the minimum fare and $0.70 per mile, Lyft’s rates are some of the best across Detroit. Of course, it’s difficult to show every destination and their costs, but it’s nice to know you have another airport transportation option if you live in Westland, Livonia, Northville, Farmington Hills, Ferndale or Royal Oak. That’s not all; it’s not a simple A to B pick up and drop. You can actually make multiple stops during a ride, which makes this kind of service all the more convenient for the travelers. Recently, GM (General Motors) and Lyft announced a long term strategic alliance according to which GM will invest $500 million in Lyft to help the company ‘continue the rapid growth of its successful ridesharing services’ (Press release, GM). This comes with some key features like rental hubs across select US cities, autonomous on-demand network, better connectivity, and joint mobility offerings. While we don’t know which cities would receive the rental hubs, we are sure Detroit could definitely be one of them. Lyft’s initial two-week promotion back in 2014 is over. If you were lucky to jump on that early “pioneer” service, you could have gotten multiple free rides as long as the fare was $25 or less. Though it’s no longer 2014, you can still get a $50 credit applied to your first several rides in Detroit by adding STUART12 promo code into the payments screen. You can get a multiple free rides to get you introduced to the Lyft ride-sharing service. So next time you’re coming out of the bars in Pontiac or Midtown or Mexican Town, give Lyft a shot with the above code. What do you have to lose? Your first ride won’t cost you a thing. Can Lyft pickup passengers FROM the Detriot airport (DTW)?